It is impossible to overstate the importance of Jesse and his company to the welfare and happiness of the cruising community in Trinidad. He provides wonderful tours all over the island. 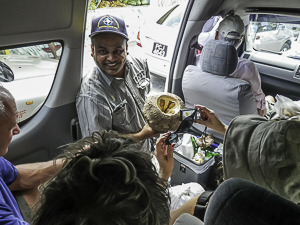 The most well known is his "Taste of Trini Tour", which takes cruisers to all corners of the island to sample the foods that the average Trini eats. He is also one of the most outspoken advocates for the cruiser to the government of Trinidad and Tobago. Many events are seasonal. The first event of the New Year is Carnival in Febuary or March. Other events dot the year finishing with Diwali and lastly Christmas. The Christmas season begins early in Trinidad. One hundred days before, you begin to hear carols on the radio and stores bring out their seasonal displays. The malls decorate and shoppers begin to arrive. It is also the time for Parang'. Parang’ is the present Trinidadian interpretation of the Spanish word, parranda . Parranda is the action of merrymaking and also refers to the group of carousers who serenade their friends throughout the year. The Steel Pan Orchestras begin to hold Christmas concerts as well. Parang at the Starlight Steel Orchestra's Pan Yard, Trinidad. 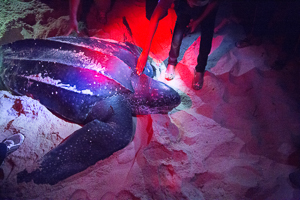 From March to September (and sometimes as early as January), Trinidad takes on a very important role: the second largest leatherback turtle nesting site in the world is at Grande Rivière. In fact, Trinidad and Tobago are two of the world’s most important turtle nesting grounds, and not only for the endangered leatherbacks. Hawksbill, green turtles, and other species — all of which are legally protected. Cricket is the national sport. Its followers are fanatical and the country gets swept up in the excitement. Trini life grinds to a halt whenever the West Indies team comes in for a test match. Soccer is second only to Cricket in the single-minded enthusiasm of its fans. 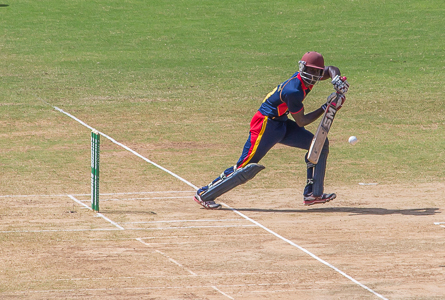 A 20/20 Cricket match is often a mixture of sport and carnival. 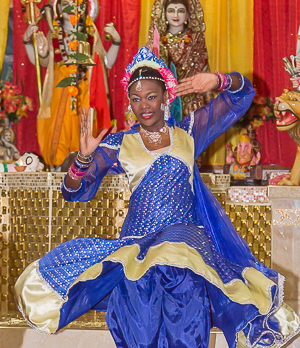 Diwali, otherwise known as the Festival of Lights, is one of the most spectacular events in Trinidad (after Carnival). Although it is a Hindu festival, in the island it is a national holiday observed by people of all denominations. The day is marked by prayers, feasts and the lighting of thousands of diyas (small clay pots filled with oil in which a wick is immersed and lit) all over the country. Trinidad is best known for it's Calypso Music, Soca Music and of course Steel pan. Calypso is a medium for political and social satire. Its root is from communication between slaves while working. Other traditional Trini forms include Soca, Parang, Chutney, and of course Steel Pan. Steel Pan Bands are most evident in the weeks leading up to Carnival. A cruiser's first introduction to Trini music is usually a trip to one of the many Pan Yards. But, there are many other opportunities to experience the many varieties of typical Trini music. Calypso music grew together with Carnival. The music drew upon the West African Kaiso and French/European influences, and arose as a means of communication among the enslaved Africans. 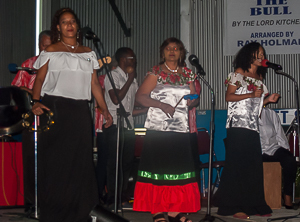 Kaiso is still used today as a synonym for calypso in Trinidad and some other islands, often by traditionalists, and is also used as a cry of encouragement for a performer, similar to bravo or olé. Highly rhythmic and harmonic vocals characterized the music, which was most often sung in a French Creole and led by a griot. 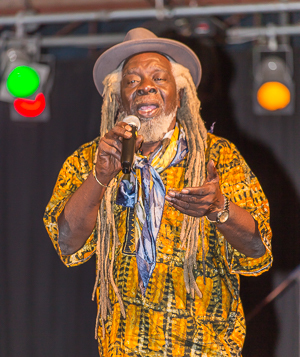 As calypso developed, the role of the griot (originally a similar traveling musician in West Africa) became known as a chantuelle, and eventually, calypsonian. Calypso was popularized after the abolition of slavery and the ensuing growth of the Carnival festivals in the 1830s. Soca is an offshoot of Calypso that evolved in the 70's but the rhythm is quicker and the music can be danced to. It dominates the nightclub scene and you will hear it all over the airwaves. The words are risqué lyrics and clever social commentary. The Godfather of Soca is Garfield Blackman, who rose to fame as Lord Shorty with his 1963 hit "Cloak and Dagger" and took on the name Ras Shorty. 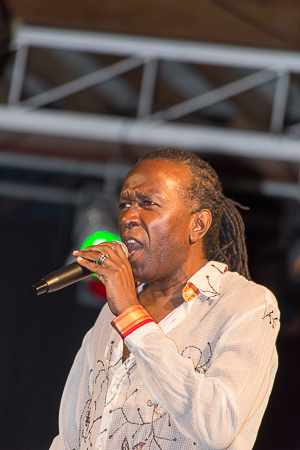 He started out writing songs and performing in the calypso genre. In the 1970s, he began experimenting with calypso by blending it with the local chutney music style . A prolific musician, composer and innovator, Shorty experimented with fusing calypso and the other Indian inspired music including chutney music for nearly a decade before unleashing "the soul of calypso,"...soca music. One cannot discuss music without commenting on the Steel Pan or Steel Band. The steel pans or drums originally were made of old oil drums, one end of which was pounded into several flat sections in such a way that each section had its distinct tone or note. Rhythm and percussion drive steel bands and the soul of Carnival in Trinidad and Tobago. 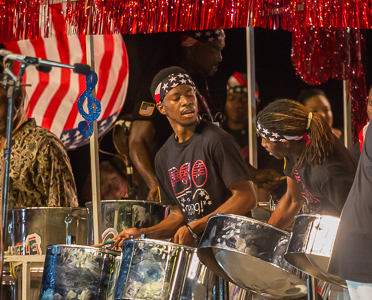 The Trinidad and Tobago Defense Force, tasked with internal security and assistance of local law enforcement, fields the world’s only military steel band. Parang is heard at Christmas time and is sung in Spanish accompanied by guitars. It is performed the same way that Carolers were seen to perform a Charles Dickens Christmas scene with wandering groups supported by the local community with gifts of food and drink. Chutney is both an East Indian food accompaniment as well as an up tempo rhythmic East Indian music accompanied by drum and metal rod and striker. The songs celebrate social situations such as a marriage or an engagement. 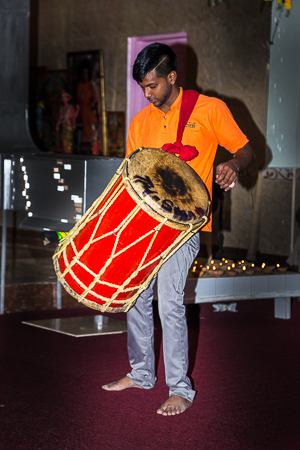 It is classical Hindu music fused with contemporary Trinidadian sound.